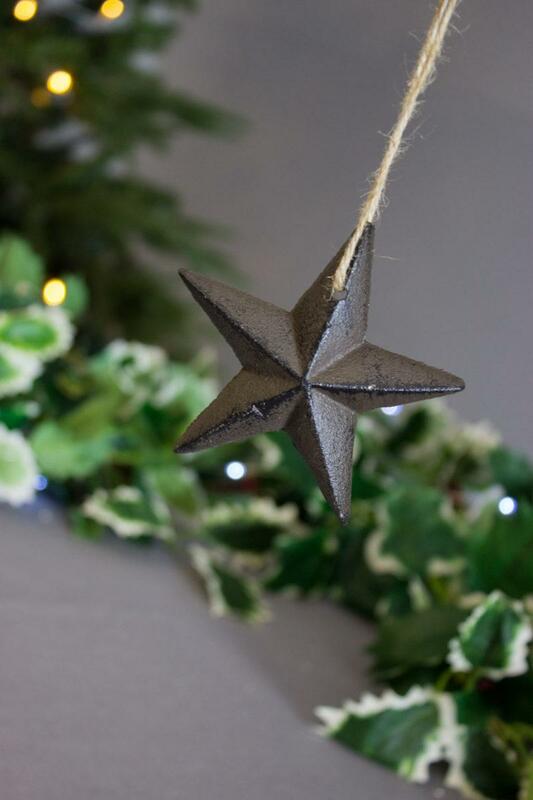 A cool cast iron star hanging decoration. Cool Cast Iron Star decoration. 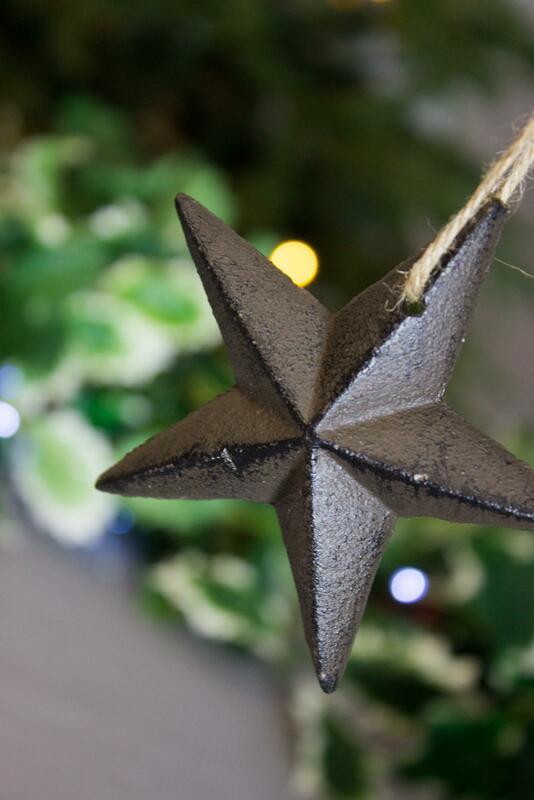 A rustic style cast iron 3D star decoration with a jute string hanger.